Page Mover allows you to easily move pages around as well as gives you a visual display of the status of your pages. Drag and drop the selected page set from its current location to a new location. You'll be asked to confirm the change. Switch easily between Single and Double Page View. As always, don't hesitate to call our office for help as we know there are lot of pieces to consider before moving pages. 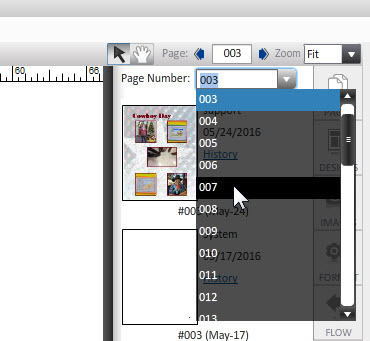 Page numbers will change once you start moving pages, so you don't rely on actual page numbers to identify a page. A written description or screen capture is always a good idea. For instance, "I need to move my Seniors page in front of Football." Single page moves can be a little tricky! Pages can flip flop when not moved in page sets. This is very evident with Portrait Pages where the names are down the sides. Why can't I move these pages? 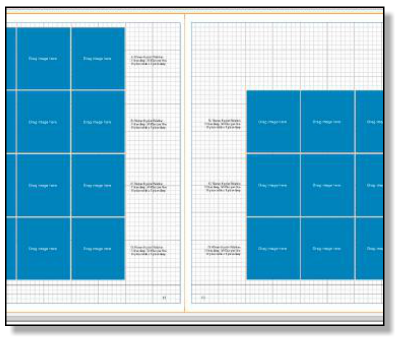 Double Page Spreads (DPS) must be moved together to maintain the spread design. A DPS page is two pages locked together by an object that spans both pages, such as a group photo. A purple bar will show across the page set icon. 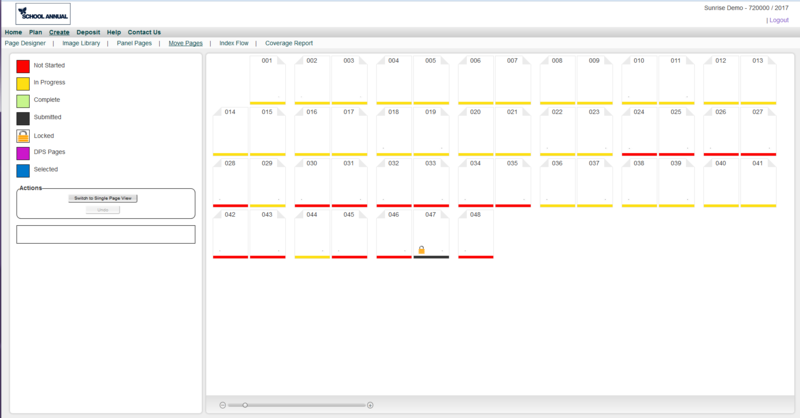 Completed pages (green border) cannot be moved until they are placed In Progress on the Page Ladder. Submitted pages cannot be moved. I don't need everything to shuffle. I just want to swap the content. If you simply want the content from one page on another and vice versa, use the HISTORY button to do that. Remember the HISTORY button let's you bring over page history from your very first save...well, you can also swap pages that way too. It's so much easier than trying to "move" pages around for this purpose. To do this, go to your first page (let's call this "Page A"). We'll be swapping with "Page B". Click HISTORY. At the drop down at the top of that panel, you'll see it has the page number for page A. Find your "Page B" in that list. Now pull the history thumbnail from Page B ONTO your Page A. Save it. Next, go to your Page B. Do the same thing, but find Page A's number in the list. Go to the second thumbnail down (because we just created the top thumbnail by dragging content) and pull it onto Page B. You've effectively "swapped" the content of those pages. If you've filled out your Page Ladder with section/description, you'll need to update that.